Use Single-Serve Coffee Creamers? Look what we found for you on Amazon! 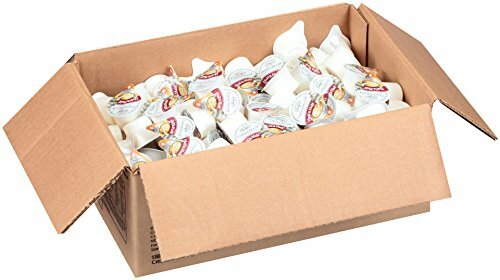 Hurry and get the International Delight, Coffee House Inspirations Half and Half, 180 Count, Single-Serve Coffee Creamers, Shelf Stable, Great for Home Use, Offices, Parties or Group Events today for $13.72 only $3.97 ($.02 each!) from Amazon Warehouse Deals! Be quick since this is a limited time Warehouse Deal, and there is currently no limit. These deals can be short dated or overstock. Check out all of the recent Amazon deals here! International Delight, Coffee House Inspirations Half and Half, 180 Count, Single-Serve Coffee Creamers, Shelf Stable. Coffee and cream is a classic flavor combination for a reason. You can add delicious creaminess to your coffee or tea anywhere with shelf stable, single serve half & half packets. Great for the office, parties, clubs or groups. International Delight creamers are for more than just coffee. Add some flavor delight to hot chocolate or other beverages, shake up a cocktail, make a frozen coffee drink, or pour it in a blender with ice cream. Single serve coffee creamers aren’t just great for parties, offices or group events. They’re also great at home as a special treat, and individual servings help with portion control so your sweet tooth won’t ruin your diet. Buy the International Delight, Coffee House Inspirations Half and Half, 180 Count, Single-Serve Coffee Creamers, Shelf Stable, Great for Home Use, Offices, Parties or Group Events from Amazon.